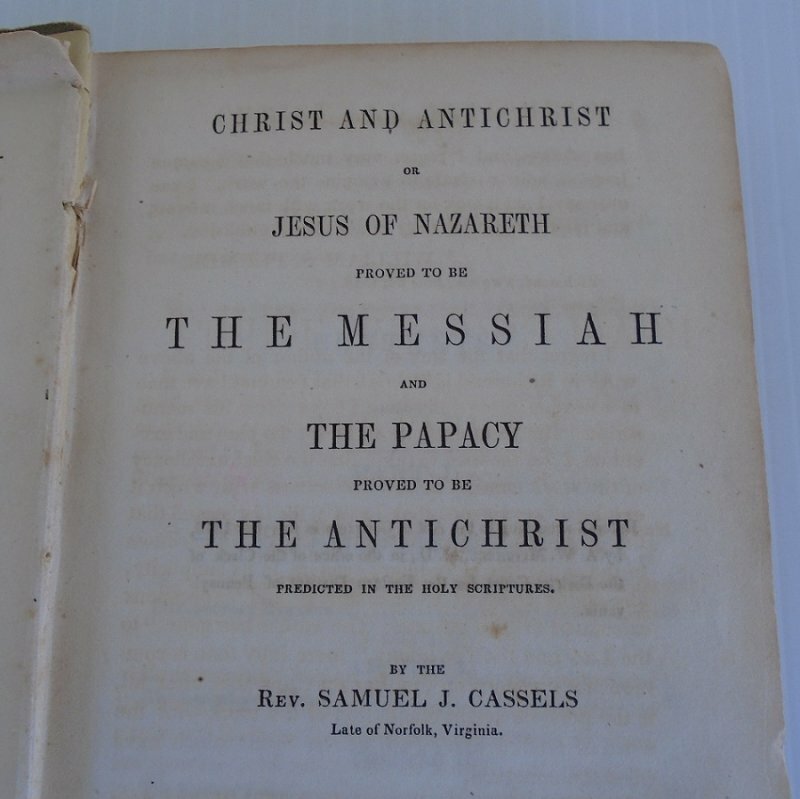 Rare book dated 1846 and titled 'Christ and Antichrist' subtitled 'Or Jesus of Nazareth, Proved to be the Antichrist Predicted in the Holy Scriptures'. The complete title of this book is "Christ and Antichrist or Jesus of Nazareth, Proved to be The Messiah and The Papacy, Proved to be The Antichrist Predicted in the Holy Scriptures", by the Rev. 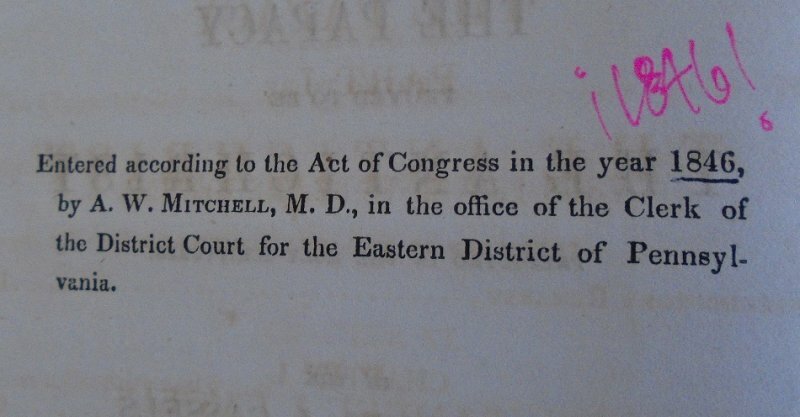 Samuel J. Cassels, Late of Norfolk, Virginia. 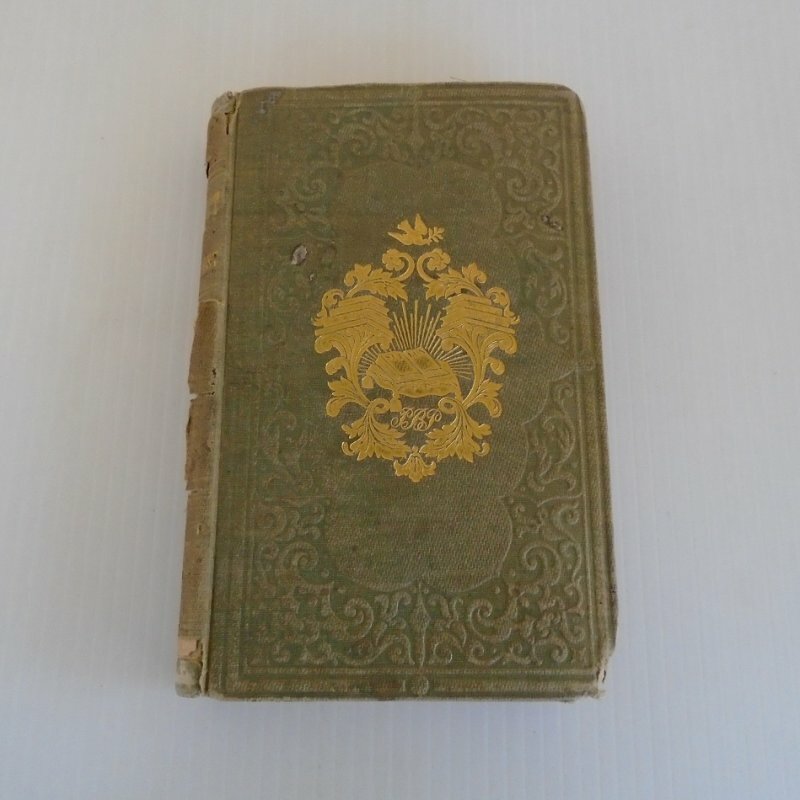 It is a hard back book containing 348 pages and measures 5 by 7.75 inches. Researching online for this book, I find that it is an extremely rare publication. There is not another one available anywhere. I did the research trying to find a description for this listing and although I found references to the book, I could not find a description. I would consider it to be in fair condition, but it does have issues. The binding inside is still tight. Inside, the previous owner made notations, and although I did not check page by page I did see about 20 pages with notations as I flipped through it. The outside has a very hard cover. The outside back spine is torn in a few areas. The upper corners have bumps and the lower corners appear to have been lunch for some small critter. These area of "lunch" are small but noticeable. Delivery will be via USPS Priority Flat Rate Envelope packaging. Insurance and Signature Confirmation will be utilized. Since those two safeguards are for the protection of us both, I split the costs with the buyer. Buyer to pay delivery charges of $7.45. Remember, the package must be signed for at time of delivery.